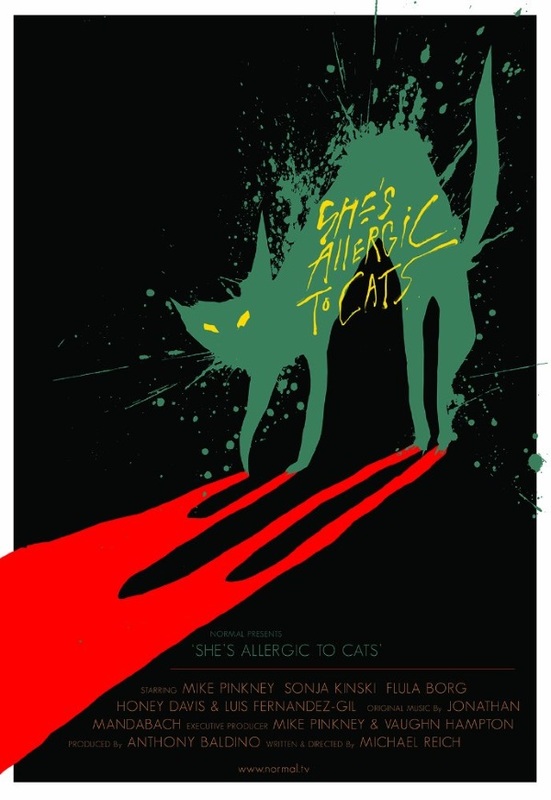 I’m afraid “She’s Allergic to Cats” was a little bit too experimental and weird for me. I had an especially hard time with Mike’s self-made videos, which I found insufferable. The look of the movie is also extremely cheap. And let’s not forget all those dog-grooming scenes which went on far too long (I swear, if you take all of them out, you probably end up with a running time of less than an hour). I also didn’t care all that much about the main character, who did nothing but complain all the time, instead of actually going ahead and trying to change some of the things he wasn’t too happy about – well, apart from getting a cat, of course. Overall, I had a really hard time with the first half hour of the movie. It improves once the date comes around. First of all: Casting Sonja Kinski, daughter of Nastassja Kinski, in a movie in which a cat plays such a major role was absolute genius. She also turns out to be very talented, and gives by far the strongest performance of the entire movie. As soon as she gets a bigger role, the movie comes to life, at least to some extent, and overall, the scenes of the date weren’t all too bad. The finale, however, suffers from the fact that Mike inexplicably fails to mention that he owns a cat (after Cora already told him that she hates them), and also was too loud, hysteric and weird for me. Since it’s such a strange and peculiar movie, I wouldn’t discourage anyone from seeing it, because there’s really no saying if you’re going to like it before you check it out for yourself. But personally, I’m afraid that despite a couple of nice moments, as well as the inspired casting of Sonja Kinski, I didn’t have much use for it. This entry was posted in /slash, cinema 2016, movie reviews, new releases and tagged /slash, /slash 2016, cinema 2016, Michael Reich, She's Allergic to Cats, USA. Bookmark the permalink.